This sensational West African music and dance troupe are led by the irrepressible Guinean-born choreographer/performer Idrissa Camara. 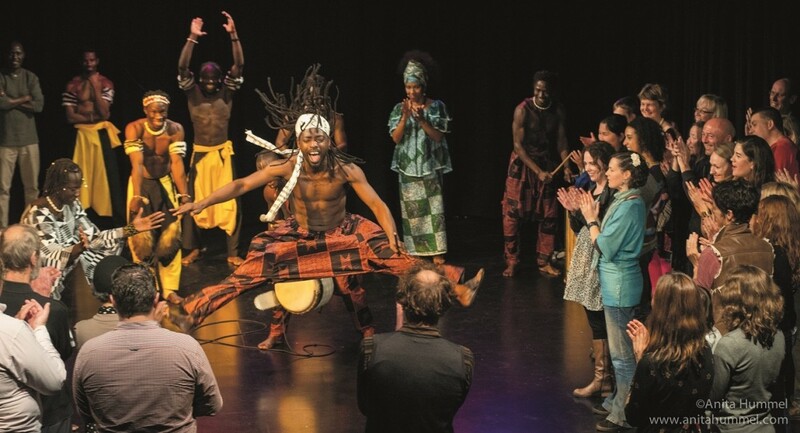 Ballet Nimba interlocks musicians and dancers from across West Africa in a captivating and dynamic performance. Expect potent musicianship, soaring vocals and outstanding percussion. Founded in 2010 by the creative vision of Idrissa Nimba Camara and inspired by his rich cultural heritage, the dance and music traditions of his homeland, Guinea Conakry Idrissa believes his traditions are an inexhaustible source of inspiration. NIMBA is the name of the iconic Guinean Mask symbolising creative power and the Joy of Living.